If you’re looking for a job and have not had much success on your own, it may be time to look into career coaching. Career coaching is similar to – but different from – career counseling and even career development. Career coaching is a sub-specialty of general coaching, which is an action-oriented, confidential relationship designed to help the client set and achieve goals. Coaches help clients identify their own skills, strengths and abilities – something that comes in mighty handy when those clients are looking for a new job, to reenter the workforce after an absence or to start an entirely new career after retirement. 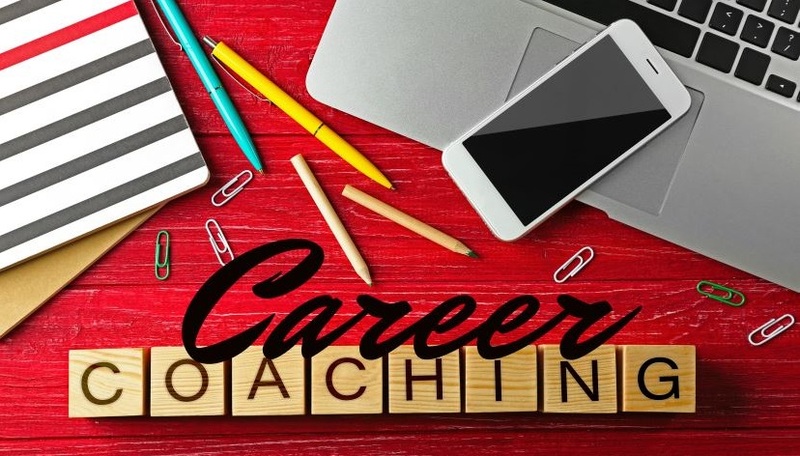 Career coaching also gives people the tools they need to create relevant resumes and cover letters, handle interviews (including answering tough questions) and negotiate. Learning how to negotiate is vital when it comes to asking for a raise or promotion at your current job, or getting the best salary and benefits at a new job. For instance, the life coaching industry is currently in a boom. If you love helping people that might be a great direction to go. Coaching can even assist those who don’t have the slightest idea of what they want. Actively listens to what you are saying, and what you are not saying. Knows the right questions to ask. Has the intestinal fortitude to kindly call you on your nonsense. Challenges your beliefs about what you can – and more importantly, what you believe you cannot – achieve. Focuses on helping you get what’s best for you, not what others think is best for you. Motivates you to keep you moving forward. I also have more than 30 years of management experience (including hiring and firing) in the newspaper industry and the local chamber of commerce. In those jobs, I not only interviewed hundreds of people, but looked at hundreds or even thousands of resumes and cover letters. Career counseling is more industry-specific and directive, focusing on educating you about salaries, job openings, trends, statistics and so on. This could be exactly what you need if you are just starting on your employment path; a career coach will expect you to do that work yourself. A career development specialist is generally someone who works in your company’s Human Resource Department. This individual provides specialized programs, assessments, training and mentoring for employees identified as having high potential. Focusing on the best and the brightest on staff helps the company retain its top employees, provides a path to leadership positions and improves the company’s overall profitability. The career development specialist is about the company first, and the employee second. Career coaches always put the client first. What kind of job do you want? In what industry? Do you send out the same resume for every job opening? Do you send resumes by email or snail mail, or do you submit them through an automated online screening program? What kind of response is your resume getting? Have you had any interviews? If so, what do you think you did well? What do you think you can improve upon? Have you had any callbacks? Depending on the responses to these questions, I can quickly narrow down what areas need to be addressed first – and it’s typically the resume. Occasionally the blockage occurs elsewhere – they are lousy at interviews, they don’t know how to network… or they don’t know what they want. All these topics and more will be explored in more depth in future blog articles. Do you have questions about career coaching? Please share in the comments below. I’d love to help. Jackie thank you for making this distinction and giving your credentials. When getting my master’s degree in counseling psychology we studied career counseling. Most of the people who focused on this went into working for an agency. Many of my clients over the years struggled with the next step after a divorce and how to make an impact on the world that would support them financially and make them happy. What you can offer would be a great fit! What a great resource you are! Thank you for your kind words, Candesss. So much about coaching is holistic (as you are well aware) and what impacts us in one are of our lives impacts all areas of our lives. I have worked with career coaching clients who first had to clear issues in their personal lives before they could move forward in their careers. Appreciate you taking the time to respond! How do you want to feel? What are you passionate about? What do you want to be known for? What kind of impact would you like to make? What would your day look like? Etc. Inner clarity first, external strategy next. It does all come together and quite an empowering experience for them and to witness. I know what you are offering can help in tremendous ways and catapult career success. Excellent questions, Teresa, and ones we cover in generic coaching when we begin. I’ll be sure to add those to my career coaching repertoire, too. 🙂 You are absolutely correct — once people connect with how they will feel when they get what they want, their chances of success are much higher. Appreciate your comments! I like this new direction of your coaching and will keep you in mind if anyone I know is looking for a career coach. Thanks for explaining your role as a career coach so clearly. I can see how your service can make an enormous difference in someone’s ultimate career success, satisfaction and rewards. Thanks, Reba. It’s been a journey of seeing what works — and, more importantly, what doesn’t — and making changes. The good news is that I am also helping people bolster their self-esteem by giving them ongoing coaching support. And I would be most appreciative of any referrals you can give. One of things I really enjoy is working with mature people who have gaps in their resumes, due to care-taking, child-rearing, etc. — and those who suddenly find themselves aged out of a job and no interviewing experience in the last 20 or more years. I appreciate you taking the time to comment. Jackie, your career transition yourself is in such alignment with your experience and passion so thank you for sharing your gifts with the world. Your niche is such an important one and the questions you shared above are absolutely critical to help others make shifts to increase their effectiveness in achieving their goals. Thanks, Tandy. I think probably the most important quality anyone can have is the ability to learn and grown and change directions when warranted. My newest (and possibly last) coaching niche came about after five years of trial and error. I appreciate your kind words. Hi Jackie. Love that you took the time to describe what coaching is and the differences between a coach, a counselor and a development specialist. Also I coach stepmoms, I tried to help my husband when he lost his job after 35 years of work. It was very difficult and challenging for him. Then one day, he simply told me to stop “coaching” him. That’s when I referred him to some of my colleagues and other resources to help him understand where to begin. Coaches can help those looking for work understand their worth, their strengths and their skills and the best way to market them to get the job they want. Thanks for share your tips in how to find a job you love. Thanks for your comments. Claudette, especially your own experience with coaching your husband. I tell my prospective clients, “Don’t try this at home.” What is accepted and even welcome from an objective third party quickly turns into nagging from someone close to you. Good for you for referring him to someone else; I hope it was helpful to him. Thank you for stopping by, Amar. I hope you found the post useful. Yes the post was really very helpful to me Jackie Harder. This was great to read. I bet you have a lot of happy customers. I think there have to be a lot of people who need this type of service. I’m wondering how you could help health coaches who aren’t cut out to be entrepreneurs. There aren’t too many jobs around for them. Do you help with creative job solutions? Thanks for your comments, Cathy, and yes, I do help with creative job solutions. That’s the part of my business that I enjoy the most — helping people make drastic changes. Like the woman who went from wanting to get back into her communications job with a huge multinational corporation to deciding that what she really wanted to do was to open and operate a B&B. All after a one-hour coaching call. And you are absolutely correct — not everyone is cut out to be an entrepreneurs. But there are lots of options out there. Send them my way…I’d be happy to offer them a free discovery call to see if we would be a good match.